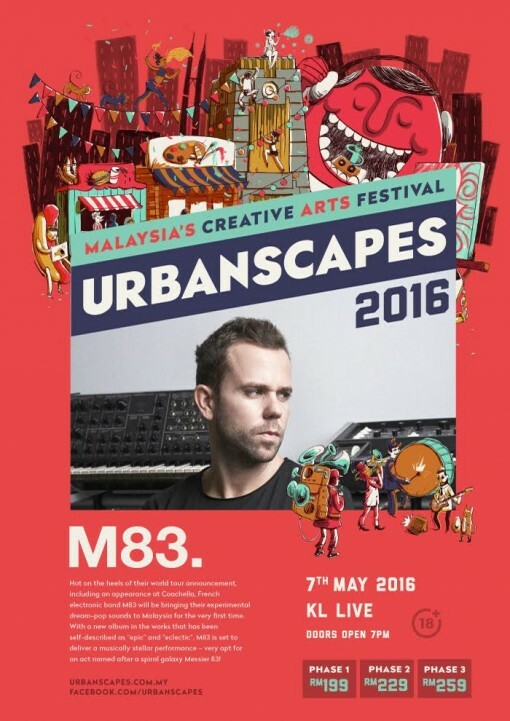 Returning for its 14th year, Urbanscapes 2016 will be reimagined into a two week-long, city-wide creative arts celebration between 23 April and 8 May. For its homecoming, festival-goers can expect the city to come alive as various venues become playgrounds for music, theatre, design, art installations, markets and experiential events headlined by international and homegrown talents. 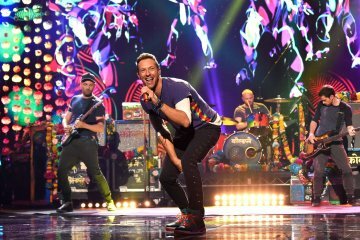 “The entire city is now our festival site. After 14 years, Urbanscapes is returning to its roots and rediscovering the urban environment it started from. No longer a weekend wonder, Urbanscapes is now a festival spanning over three weekends featuring an exhaustive creative arts programme to excite festival-goers of all ages,” said Adrian Yap, founder of Urbanscapes. 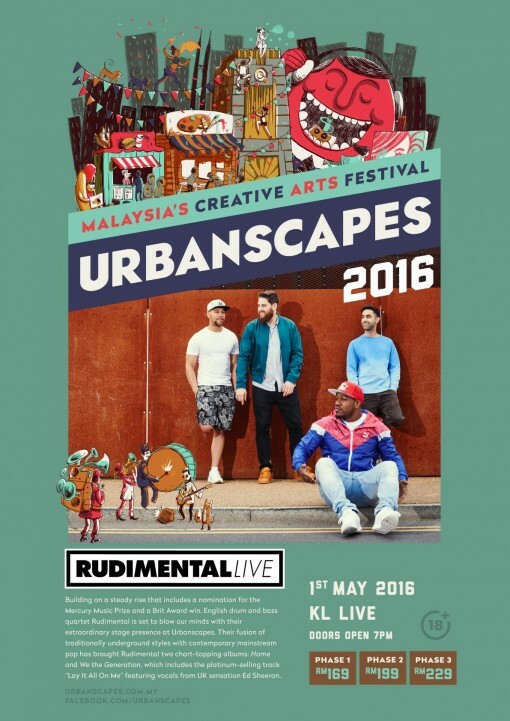 Urbanscapes announced additions to their KL Live lineup, including a music showcase by English drum and bass band Rudimental (“Feel The Love”) on 1 May. 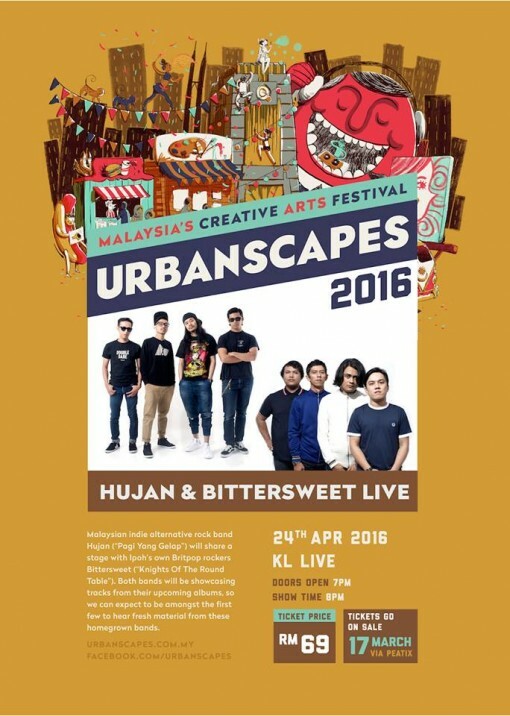 Malaysian indie alternative rock band Hujan (“Pagi Yang Gelap”) will share a stage with Ipoh’s own indie rockers Bittersweet (“Perfect Match”), on 24 April. Both bands will be showcasing tracks from their upcoming albums, so the audience can expect to be amongst the first few to hear fresh material from these homegrown bands. 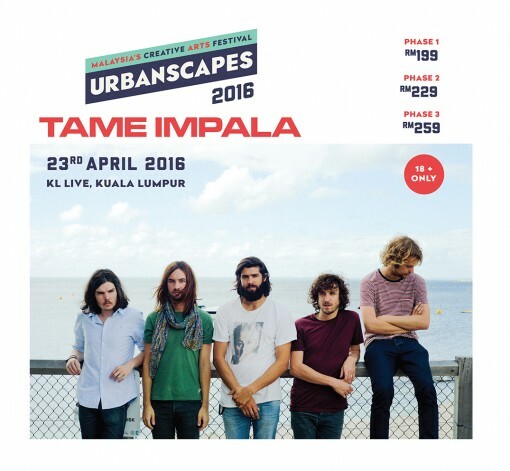 The KL Live lineup includes the recently announced Tame Impala on 23 April and M83 on May 7. True to its ethos, Urbanscapes will bring the best creative arts programming that it is known for, including a diverse programme of music experiences. 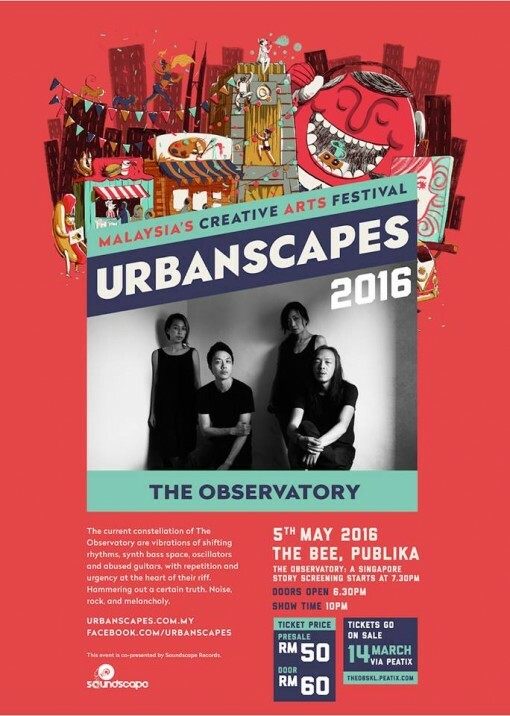 The Bee Publika will play host to several intimate Urbanscapes gigs. On 30 April, homegrown rapper Jin Hackman of the independent hip hop movement Raising The Bar will collaborate with JUICE Malaysia to present The Night Before Tomorrow (NB4T). NB4T will feature future beats, seapunk, vaporware, footwork, witch house, UK bass, dub, sound system culture-derived genres, and everything else other than the usual KL nightlife scene. Singaporean experimental art rock band The Observatory will blur the lines between film and music on 5 May with a screening of their experimental music documentary “THE OBS: A SINGAPORE STORY,” followed by a live music showcase of their latest album “August Is The Cruellest”. Vinyl enthusiasts’ collective Musika Publika will host a party and supply music in the physical form — from pre-loved vinyls, to cds and cassettes — for music enthusiasts to purchase at BlackBox. 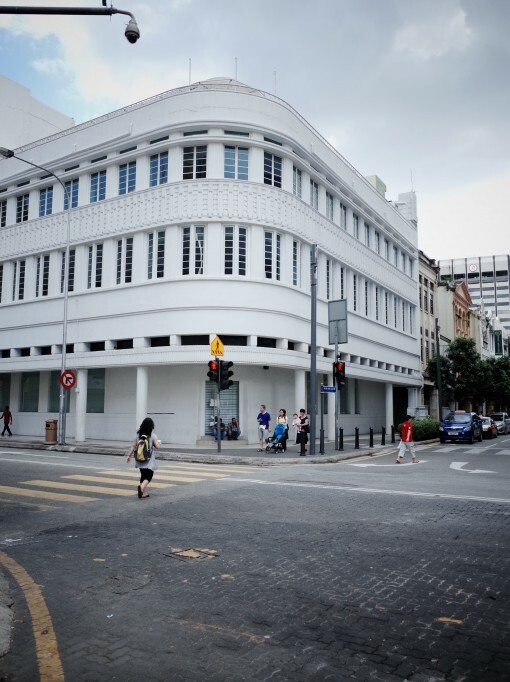 The heart of Urbanscapes will pulse at the scenic and historic square Medan Pasar, where the heritage “OCBC Bank” art deco building (now known as 2 Hang Kasturi) will be completely taken over to serve as the festival hub Urbanscapes House. 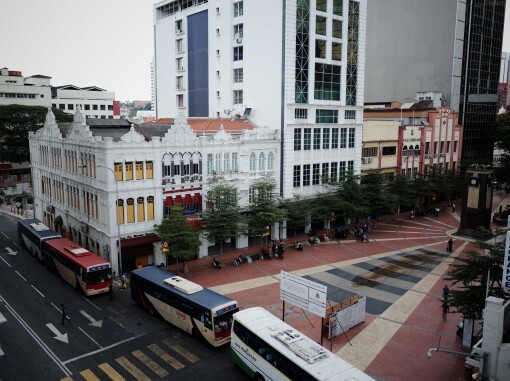 Occupying five floors, Urbanscapes House will host three weekends of art festivities. Right when you enter, there will be an Urbanscapes Café that will feature a signature menu created by our food partners. The first floor will feature the skate and visual culture art exhibition Cannot Be Bo(a)rdered featuring the works of 26 artists from Singapore, Malaysia and Indonesia. On the basement level, the building’s legacy bank vault will be transformed into an on-site specific theatre production, entitled The ViCioUs CyCle, that will run from 29 April to 1 May. An interactive theatre experience, theatre-fans will be invited to follow its protagonists along the precipice between truth and deceit, love and hate, pleasure and pain, laughter and sorrow! Cover charges apply. 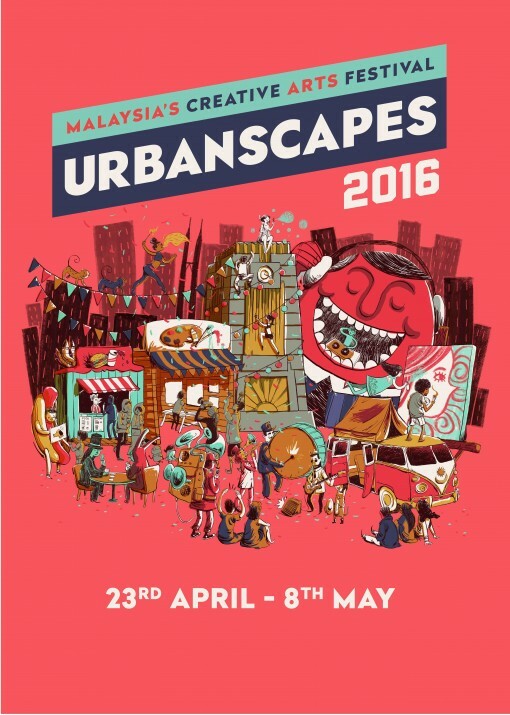 Urbanscapes House will also host three weekends of thematic markets that explore the themes of urban culture, arts & crafts, and fashion retail. Up on its airy rooftop, expect thematic food markets where the nation’s best food vendors will peddle gastronomic bites. Also on in the programme, Urbanscapes staple The Generalist will return with an even more imaginative lineup of multi-experiential activities at Market of Experiences. As Urbanscapes bustles to a crescendo, the festival will conclude with a high-energy closing street party from 4 pm to 9 pm on 8 May at Medan Pasar, where Urbanscapes House is centred. 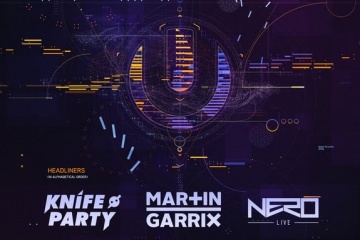 A throwback to Urbanscapes’ infancy, this party will see Malaysia’s artists and creative communities will come together to deliver a salvo of artistic endeavours including street performances and art installations, while food trucks fill the square with their enticing fare and aromas. For Urbanscapes 2016’s full lineup, visit urbanscapes.com.my. RM50 cover charge, includes one drink. The Night Before Tomorrow (NB4T) curated by Jin Hackman and JUICE Malaysia. Tickets will be available 14 March.